A map titled “Faithland” displays what regions of the United States believe the most in a higher power. 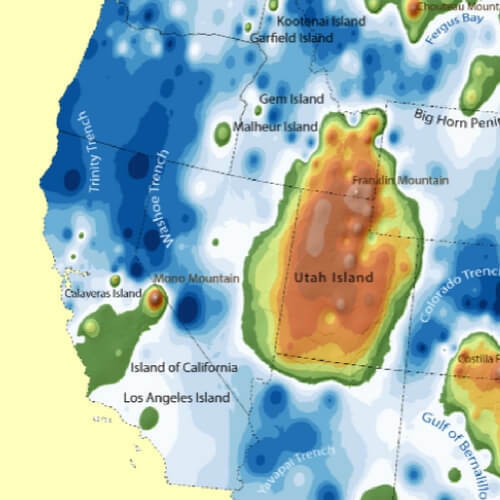 The map was created by Alex Egoshin, an environmental scientist, in an attempt to provide a detailed visualization of which areas across the U.S. have a high population of believers in a God, and which areas do not. As reported by the U.K. Daily Mail, the state of Utah shows an extremely high rate of religious believers with some areas of the state having between 96 and 100 percent of its residents reporting a belief in a higher power. This isn’t surprising considering that 55 percent of the state’s residents identify as Mormon. However, the state is virtually on its own out west, as states like California, Washington and Oregon have very low percentages of people that believe in a God. Areas throughout North Texas and South Oklahoma have a high abundance of religious believers, however, both states pale in comparison to the religiosity of North and South Dakota. Does your state have a lot of believers? 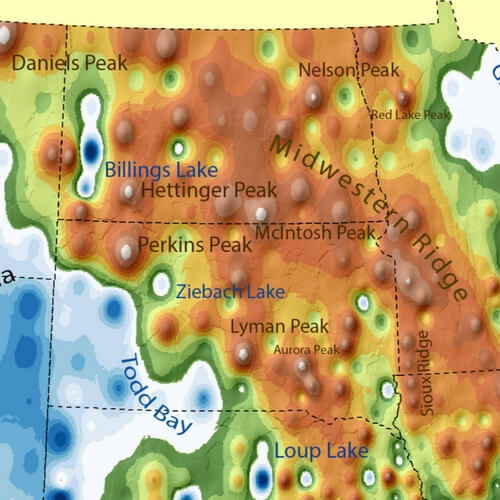 As seen on the map, North Dakota is essentially covered in various shades of orange and red denoting a high propensity of religiosity. According to Sperling’s Best Places, 68 percent of residents in North Dakota are religious with Christianity and Catholicism dominating the specific religious outlook. The “Bible Belt” appears to hold true to the moniker as Egoshin’s map details that at least 50 percent of residents throughout the region believe in a God. However, just south of the “Bible Belt” in Florida, very few believers exist, according to the Daily Mail. Belief in a higher power is seen spread throughout the Midwest through West Virginia and up into New Jersey. However, religious belief is virtually non-existent in the upper northeast region of the U.S., according to the map. According to Vivid Maps, the outline was developed using an online mapping tool known as ArcGIS.